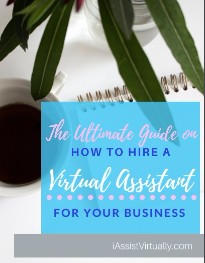 When you work with a VA it’s essential to treat it like a very important business deal and not casually. You wouldn’t work with most people without the most important document that you can have in the business world: a contract. 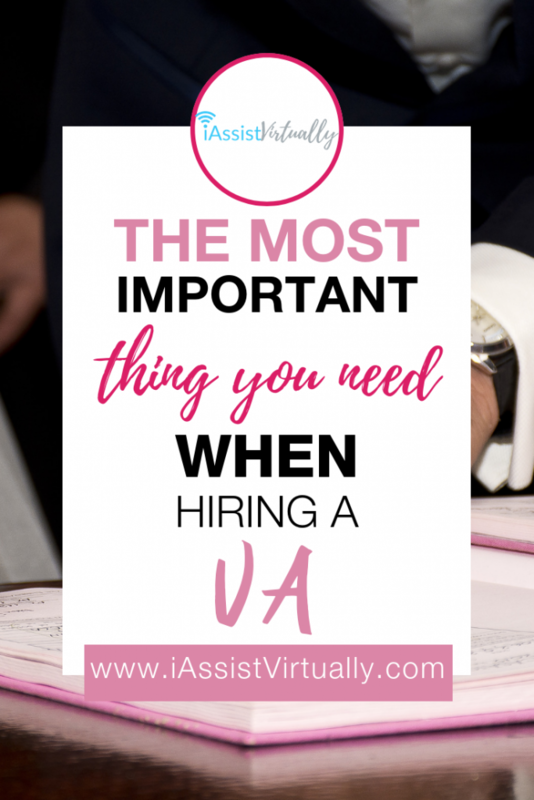 Many people make the mistake of not getting a VA contract first because they feel like it’s a lot of work. But, it will be a lot more work if you don’t get a contract. Write down in a list every last thing that is being offered by both sides of the agreement. Express how much money will exchange hands and how it will happen, such as the monthly fee and how it will be paid, such as through PayPal or Square. Be sure to list main and alternate contact information such as business name and address work phone and business phone number, as well as pertinent email addresses. Be sure to list all the expectations and responsibilities of each business involved. For example, the VA can batch work as long as deadlines are met, what the typical turnaround time expectations are, etc. It’s always a good idea to mention the consequences of not following the contract, such as whether or not both agree to arbitration and which country, state, city and county laws will be enforced, etc. 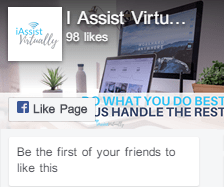 Also, be sure to include a termination period notification time, rush charges that the VA may add to an invoice if there’s a short turnaround time (i.e. less than 24 hours). Use something like HelloSign.com to sign the documents to make them legally binding. It’s very important to get the contracts signed in a legally binding manner. 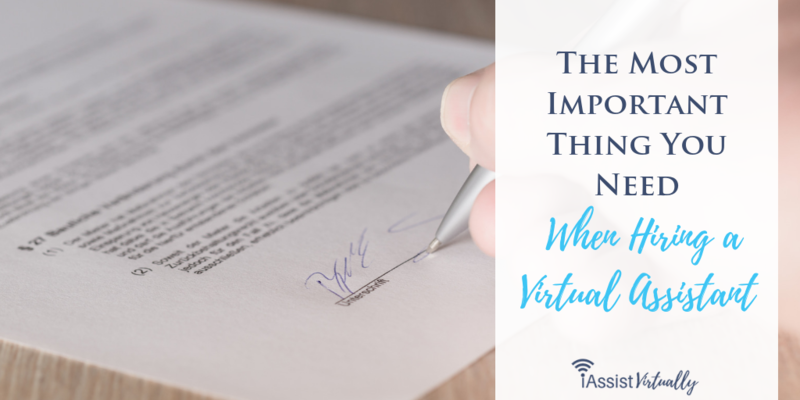 Without a VA Contract, You Have No Legal Standing – It’s true that sometimes a judge will enforce a handshake and emails if you have enough compelling evidence to back up your claims, but a signed contract is iron clad. It Solidifies Business Relationships – It’s good to keep your professional and business life as separate as possible, and the best way to do that is through a contract. You’ll likely become close to your VA over time but the contract will help keep you both on the right path. Contracts do not have to be complicated but they do need to be very specific and include every eventuality that you can consider within the contract. Include prices, extras, and more. The more you put, the better, and be sure that if your VA provides a contract, you review it thoroughly and communicate any questions or misunderstandings before you sign.